Are we as South African collectors publishing enough numismatic literature? Over time, my coin collecting hobby slowly evolved into the collection of numismatic literature. I recently acquired a few scarce books (cheaply) through Bid or Buy. A question I want to pose this forum is whether we as South Africans underestimate the rarity and value of publications such as Parsons' “The Coinage of Griqualand” (1927) or Becklake’s “Notes on the Coinage of the South African Republic” (1934). It would be interesting to know how many copies of these original booklets and other early numismatic publications survived in good condition. How much are these books worth as they may be rarer than some of the coins we happily pay thousands of Rands for? Another aspect I observe is that we as a community are publishing less and less. In the 1960’s and 1970’s a large number of catalogues as well as Journals from the South African Numismatic Society, The Bickels Coin and Medal News, De Nummis of the Transvaal Numismatic Society, etc. were published. To my knowledge, it is currently only Hern updating his catalogue on a regular basis and essentially no other academic numismatic articles are published. The only new book that recently appeared on the scene was “History of the Nickel Coins of South Africa”. As a book collector, it was wonderful for me to get this new addition. More important though, browsing through it, it is clear that appropriate research can still reveal a huge amount of new information about our coins and the rarities of a particular series. Should we try to research and publish more? It would be wonderful for example to get a comprehensive academic book about the Union series.The amount of numismatic literature published on a country’s coins may in fact be a reflection of the health of that area of collection. Just think about the Americans who are prolific publishers of numismatic books. They even have a Numismatic Literary Guild. I will be very interested to hear the views of the forum on this particular issue. Numismatic publications, like all publications, are dependent on supply and demand, and if there were enough demand, there would be more South African books & magazines regarding our wonderful numismatic hobby. The only way out is privately published numismatic literature like 'NOMISMA'- Journal on the Union of South Africa Coinage by Alex Urizzi and BoB postings by coin buffs like Anthony Govender, George Jacobs and Ernesto (jwither) et al on our forum that should be condensed & published in hard format & treasured for prosperity. But who is going to sponsor that? Nee, ek is so Suid-Afrikaans as wat jy kan kry. Ek lees al jare die forum, maar het nog nooit betrokke geraak nie. 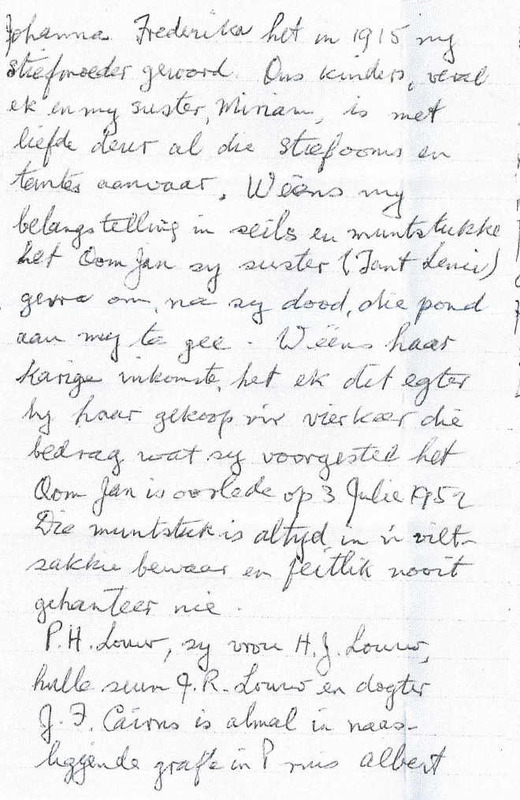 Dit is nou onlangs eers dat ek op BoB geregistreer het want ek het toevalig 'n paar boeke gesien het wat ek in my versameling kort. It may be a useful idea as suggested above by Pierre to try and condense some of the postings on the forum into a booklet. The newsletters of the early collectors illustrate this point nicely. The South African Numismatic Society published their first newsletter on 10 September 1948 with Frank Mitchell as editor. These newsletters from 1948 to 1956 was eventually bound by them as Book 1 (another rare piece of numismatic literature). It contains some very valuable material, e.g. as just one example, J.P. Roux's historical account of the 5 Shilling piece in the January 1949 issue contains details I have not seen published anywhere else. This information would have been lost to future generations if they did not make the effort to get it published. The postings on this current forum will have to be filtered a bit, e.g. personal attacks, etc. removed. For this, one will require an independent editor which may be an interesting problem. Anyway, I feel strongly that the more we as a numismatic community publish, the stronger and more healthy it will become. Begin die 3 bladsye van regs af te lees. Is there a recording of your interview on RSG available somewhere to listen to? Not sure if the SABC has copyright on these things. I saw your original post, but forgot to listen in. I am sure this was good advertisement for the hobby and we need more of this exposure in the media. Interestingly, Matthy Esterhuysen wrote a number of articles on coins for the SABC that was broadcast from 21 September to 7 October 1970. Although she wrote it, it was read by Andre Liebenberg on the radio. It is probably still available in the archives of the SABC as a contact there was able to give me a copy some years ago. 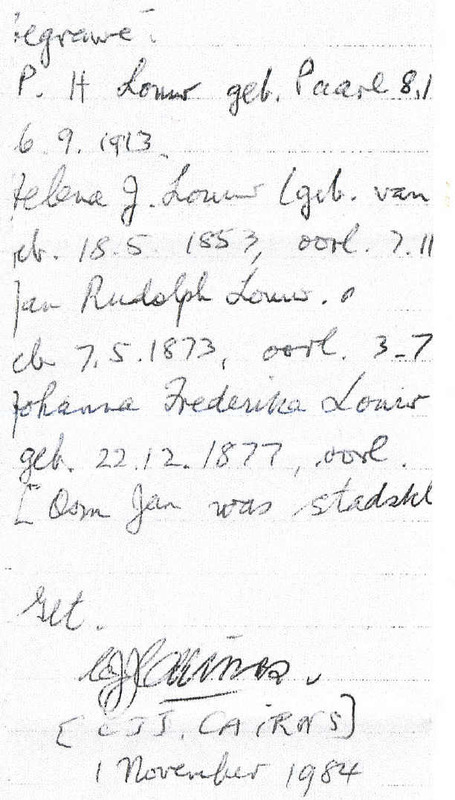 These articles were also published in her booklet ‘Munte en die Mens’. This is another one of these rare booklets which I was finally able to acquire on BoB this year after a search of probably 7 years. Anyway, to return to the main topic of the thread, I am still keen to probe the amount of research we do and articles/books we publish a bit more. It would be interesting to know how many collectors are out there with their pet research topics who perhaps struggle to find a cheap method to get it published. If this is the case, can a website (for electronic publication, although I still prefer hard copies owing to sentimental reasons) or another mechanism be created to assist them? Or are publications and research currently not key focus areas for the coin community? Views on this would be greatly appreciated. I hope this work - my son put the link on! The link worked and it was a pleasure listening to it. Also well done. You handled the interview very well. 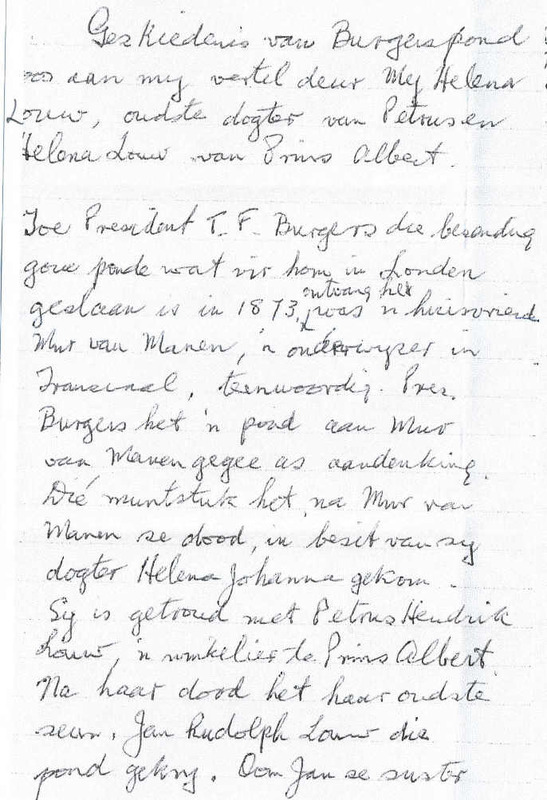 Dit is wonderlik om te sien dat daar so 'n historiese agtergrond bestaan vir munt soos hierdie Burgerspond. Miskien kan jy nog n paar interresanthede deel waaroor mense geskryf het - dalk op n nuwe thread. My answer is no and as I stated before in one series of posts here, it is reflective of the lack of interest in collecting in your country. Since I have not exchanged posts with you before, I live in the United States. I collect South African coins because Ilived in J'Burg back in the 1970's. I do not know what caused this change but I have my suspicions. I am actually having a "debate" with another collector on the NGC Message Boards right now on a number of subjects and this came up. I will provide a response to him if the correct opportunity presents itself because I think that numismatics isn't as popular in the United States today either as it was in the past and this is precisely why I believe he overestimates the appeal and popularity of the series (US circulating moderns) he prefers. As an outsider, I do not see much interest in collecting at all in your country. What I mostly see is a disproportionate interest in making money and buying coins like any number of "widgets". I see it in the content of the comments here. I see it the level of participation. I started posting here in 2009 when prices were rising and ever since prices peaked in late 2011, the number of contributors and the posting frequency have both declined substantially, both from already low levels. I see it in the price structure which is completely absurd. ZAR is better but especially in Union, the price variances between high grade and lower grade MS, between many MS and AU-55 or AU-58 and of circulated coins generally are all symptoms of a disproportionate lack of interest in collecting. Even in the United States where I believe both many prices and price spreads are absurd, you do not see that. There are many circulated coins (sometimes even in very low grades) which are desired. What I just described, this is my explanation for what you see. Let's be realistic. Publishing a quality numismatic publication or reference takes a lot of work. Pierre referred to what exists in the United States. I suspect that most who did so certainly did not get compensated sufficiently for their work effort. They did so because they like numismatics enough to do it despite the minimal financial compensation. Someone like Q David Bowers, he has written either dozens or maybe a hundred in his 55+ years as a professional numismatist. To my knowledge, he certainly does not even need the money. To give you a specific example, an Englishman (Frank Gilboy) wrote the best reference book I have ever seen anywhere, on the Spanish Colonial pillar coinage titled The Milled Columnarios of Central and South America. It must have required years to complete as it includes an extensive historical context of the period and the individual mints, variety attribution and his rarity estimates. There are about 400 date/denomination/mint combinations in the series which with die varieties, must be around1500 coins. Who knows how many people he had to contact to do that? And what about the supporting documents he had to obtain access to for his source information? For all his effort, the print run was 500 copies and I paid $65 for mine. I am not even sure the entire print run sold out. If it did, this still only comes to $32,500 which must be split with the publisher and not even excluding expenses. No one is going to go to that effort unless they actually like their subject enough and I just do not see that in South Africa. Pierre also mentioned my prior posts on this forum, While I appreciate the endorsement, my commentary is more about collecting behavior and how it affects scarcity and pricing. It is probably of more interest to psychologists and sociologists than most collectors. I believe my views are very useful to those who are actually interested in completing their collections and even for "investment" purposes, but I am not an expert on the coins themselves. Even if I had this inclination, I have an access problem in the sense that because I do not live in your country, I have not seen enough coins to know as much as many of you who do. My gratitude also for your extensive contribution on this thread. I attend some of the numismatic meetings here in South Africa and I must say, I do see significant enthusiasm amongst many members of the active coin societies. My perception is that they certainly love their hobby and financial gain is not a primary consideration to many of them. The only problem may be to energise these guys to put their knowledge/research on paper. This is where an appropriate mechanism of e-publishing may be useful to make it a bit easier and less expensive to get the publications out. My suggestion would be to take a positive approach and see what can be achieved with limited resources. Personally, I wish the coins I collected were cheaper so that I could buy more of them. Eventually, I would like to sell them for more but I do not care what happens to the prices in between. My South Africa collection used to be much better but out of financial prudence, I unloaded most of my better coins because I was not going to pass up that windfall. Some are worth more now but mostly, I believe I have been proven correct. I am selectively buying again now but only the scarcer dates and primarily in AU-55 or AU-58. And coincidently, I also believe that these are the better values. I think the option of e-publishing is sound. If you or anyone else ever decide to write a comprehensive reference book for ZAR, Union and maybe even RSA, I definitely would like to buy it.